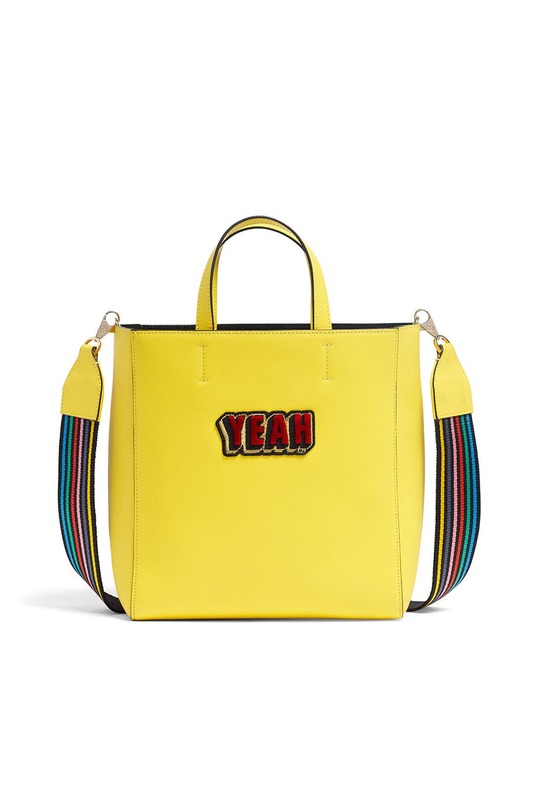 A bright and whimsical addition, this mini tote by Les Petits Joueurs will set the tone for the weekend. 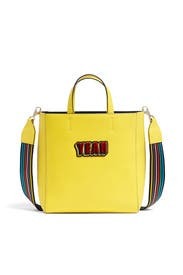 Yellow structured leather tote with "Yeah" front detailing. Open top and one interior zip pocket. Adjustable crossbody strap with 19.7" drop. 10.5''H X 9.45''L X 4.7''D.